The article published by the New York Times (NYT) covers the publication by the Health Affairs Journal of an article by Professor Popkin on the impact of the Mexico sugar-sweetened beverage tax. This study finds that purchases of taxed beverages are continuing to decline. It estimates that “overall, sugary drink sales fell by 5.5 percent in 2014 compared with the year before, and by 9.7 percent in 2015 — again compared with 2013”. Mr Popkin also suggests that sugary drink consumption might follow the same path as other products traditionally considered as addictive “like cigarettes and alcohol”. 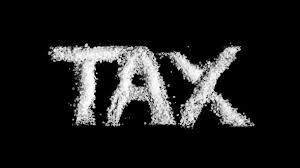 He says that “over time people seem to get more weaned away from the sugary beverages”, which in his opinion would “increase the impact of the tax”. Following the publication of this article, ICBA released a press statement challenging the assumptions made in the NYT’s piece. It laments the fact that the article relies on theoretical models that do not align with actual tax data from the Mexican Secretariat for Finance and Public Credit (SHCP). These official data actually show an increase in sugar-sweetened beverages (SSBs) sales through 2016 rather than a decrease as suggested by the authors. It also underlines that the tax introduced in Mexico has not proven any health benefit to Mexicans as Mexico’s 2016 national health and nutrition survey shows that obesity rate has gone upward. ICBA’s press release ends by proposing other methods than fiscal interventions such as introducing smaller pack sizes or reformulating existing beverages, which have proven to be successful in curbing obesity trends.